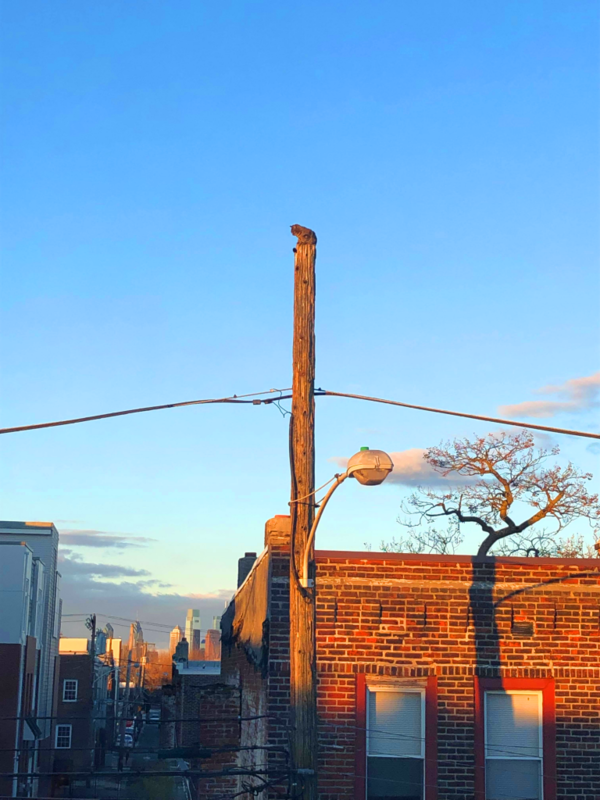 Nothing could be more dramatic than a beloved family cat stranded on top of a forty foot telephone pole in the middle of the night. That is exactly what happened on cold a mid-March night in Philadelphia. 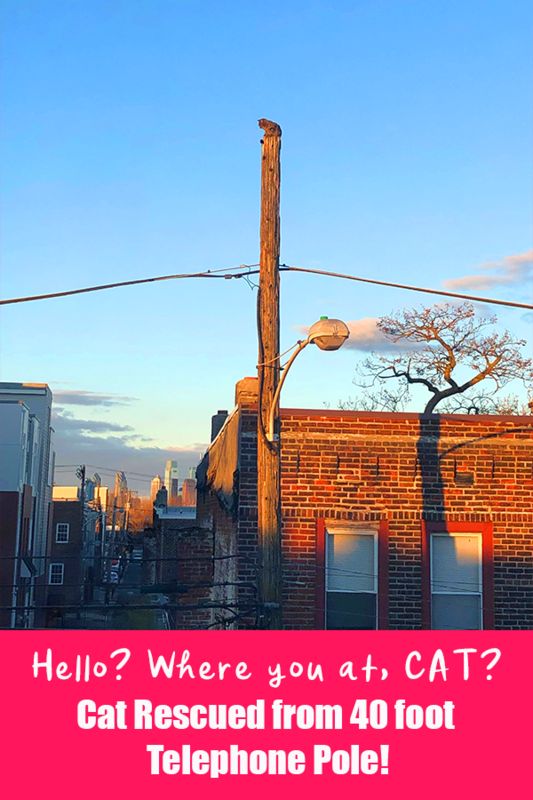 Just after midnight, neighbors in the Port Richmond area were roused by calls from the distraught family calling for their cat, Princess Momma. 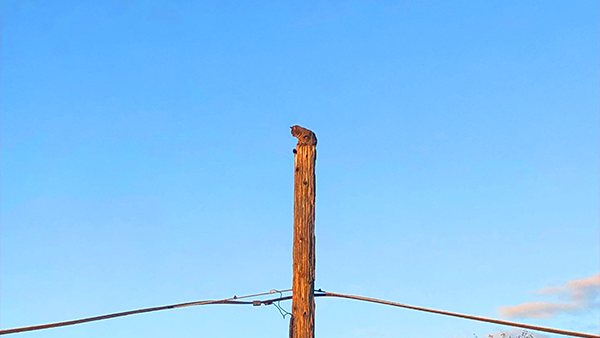 At some point, the tabby was spotted perched atop a telephone pole. And there she stayed, resisting all attempts to coax her down well into the night. Princess Momma had a bird’s eye view for 12 hours. Dawn broke with Princess Momma still clinging to her perch. Neighbor Amanda Boyce took to social media for help. Local animal activist Sandy Mcleish answered the call to help and quickly arrived on the scene. 911, ACCT Philly -Animal Care & Control Team of Philadelphia, the SPCA, and the fire department all declined to help. 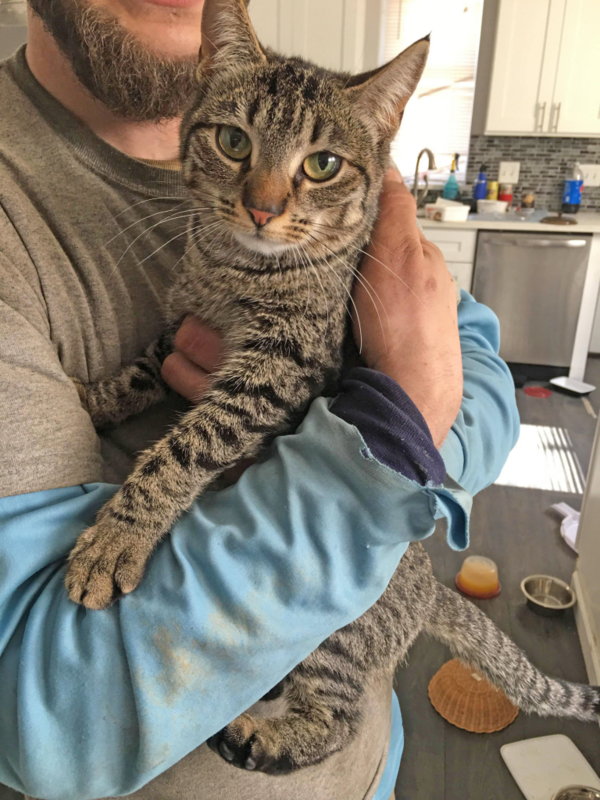 One neighbor even attempted to save the cat on his own. 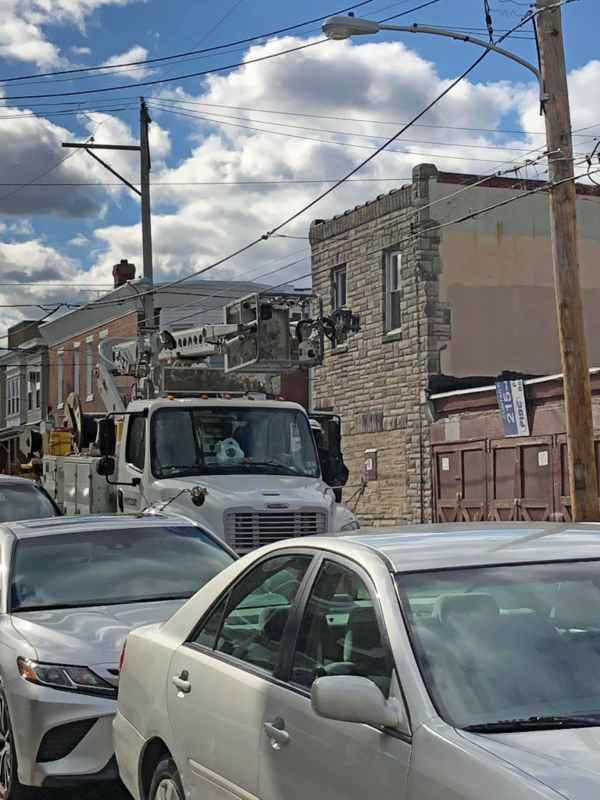 As desperation mounted, Sandy Mcleish spotted a Verizon truck working on a project nearby and approached the workers for help. Twenty minutes later, not one but three trucks showed up! And at about 10:30 am, this dramatic cat rescue happened, and Princess Momma was saved! Sound up! Yayyyyy! 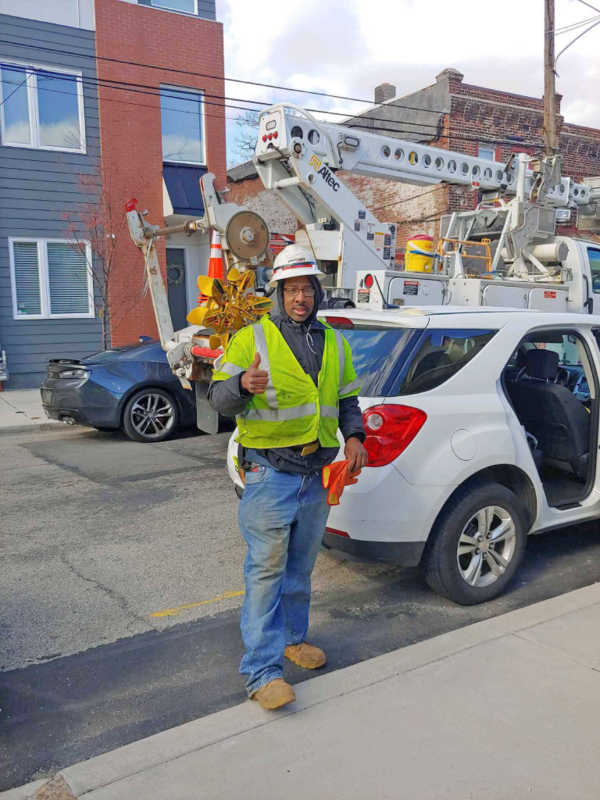 The man who went up in the bucket to get retrieve the cat is Verizon worker Maurice German. For her part, Princess Momma has declined all interviews. How she came to be perched on top of the forty foot pole remains a mystery. And just like the recent frozen cat rescue, this lucky lady is not talking. Local celebrity and cat rescue survivor Princess Momma is back living out her remaining eight lives. Oh, Princess Momma… silly cat. What were you doing up there??? And you’re so beautiful. Add this to my long list of reasons why I will never, ever be a Verizon customer again. I’m glad the neighbors raised some money for Mr. German. I have been following this story on line and it is so disgusting that they suspended him. I heard they set up a GoFundMe for him also.